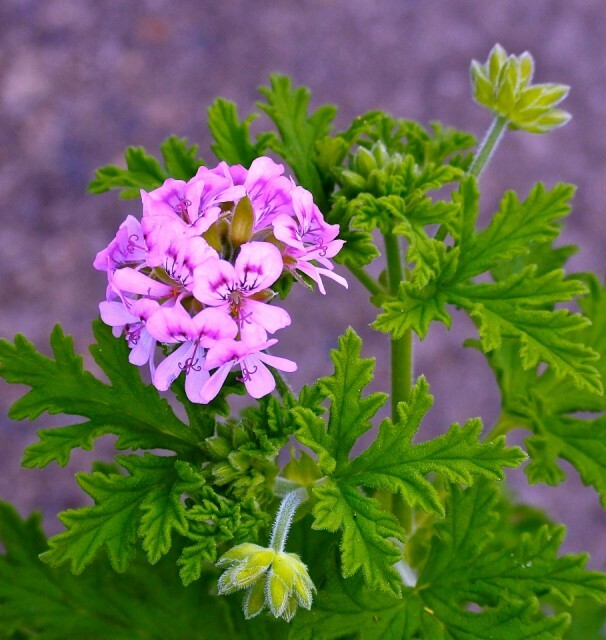 A Rose Geranium or as PaulineP would call it a “Pretty plant”. And when you brush past its leaves it releases a deliciously fragrant perfume. Evidently the leaves/oils (and they do smell like a rose) have a range of uses from cosmetic, medicinal or you can even use them in cooking! None, of which I’ve ever done!